Pedestrians on the Frank Gehry-designed BP Bridge that connects Chicago's Millennium Park with Daley Bicentennial Plaza. 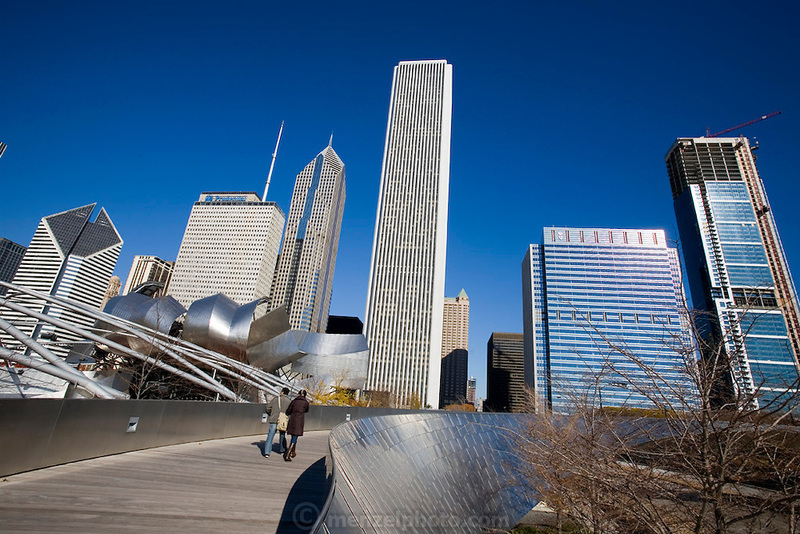 To the left, the Jay Pritzker Pavilion, also designed by Gehry, Chicago, Il. USA.